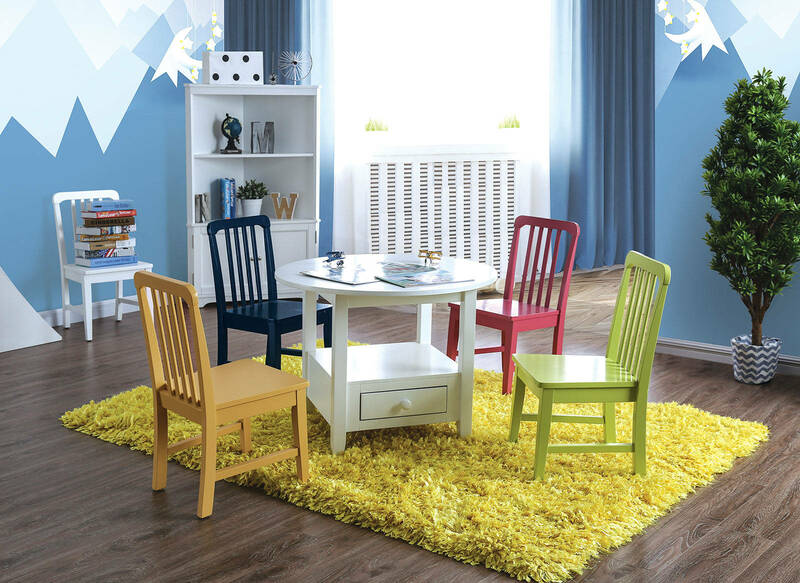 Your children will love this round table. They can keep crayons and art supplies close by in the storage drawer so anytime is coloring time. The Open bottom shelf is perfect for putting toys or other trinkets that are better left off the floor. This set includes four different colored chairs that paint some color against the white round table.